If your camera has been gathering dust in the closet for the last several months, you might want to make a New Year’s resolution to become a better photographer by joining one of Flickr’s many photo group projects 10 Flickr Groups for Serious Shutterbugs 10 Flickr Groups for Serious Shutterbugs Read More . 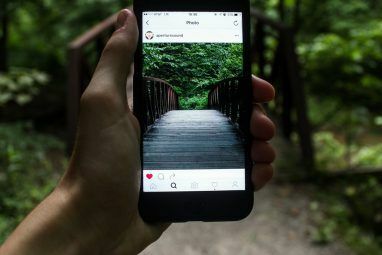 One of the most challenging and possible rewarding groups involves taking and posting a photo per day for an entire year. There are several 365 days groups on Flickr.com. I will suggest a few, but I encourage you to search out several others and make one your home base. The most popular group that I know of for this project is called, well Project 365. It currently has 19,920 members. The group has hundreds of discussions threads including weekly challenges for meeting your daily photo requirement. You can join Project 365 at any time to get you started, but if you’re interested in starting on January 1, “365: the 2011 edition,” has been created for such a purpose. The administrator says the group will be limited to 1,111 members, so if you’re already a Flickr.com member, you might want to join in. The group is open to photographers of all skill levels. Another established group is 365 Community with 644 members. This group also has weekly themes, as well as milestone threads for when members reach a particular number of days in the project. Now, to be honest, shooting and posting a photo per day can be a hefty challenge, especially if you have limited time to get out and shoot. So the following are some suggestions based on my experience in completing the project a few years ago. Absolutely take a camera with you wherever you go. While a profession DSLR camera is great to have, a smaller portable or pocket camera is ever better. I shot with both a Canon 50D and a compact Canon G9. 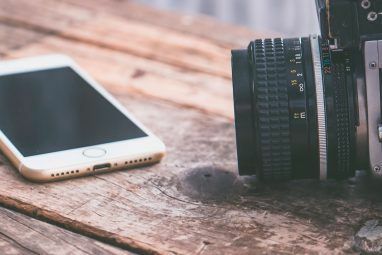 Even a good cell phone camera 10 Tips To Take Better Digital Pictures With Your Phone's Camera 10 Tips To Take Better Digital Pictures With Your Phone's Camera Read More can be handy for this project. Keep a camera in your car or travel bag so that it’s always handy and ready to shoot. Make a list of subjects and places to shoot. Keep a list of all the subjects around your community and town that you have wanted to shoot. You might even have a particular location which you visit on a regular basis throughout the year. I would say a third of my project photos came from visiting and shooting at a historical site called Old Sacramento. Don’t censor yourself. While it’s almost natural to want and take and post the best shots you can, don’t censor yourself when it comes to snapping digital photos. No matter how banal a subject may appear, take the shot anyway and decide later to post it or not. 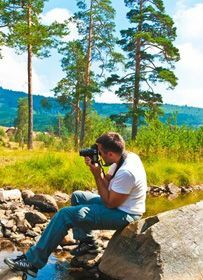 Take several photos per day and choose the best one. Copy other photographers. There’s no copyright on subjects and ideas for photos. Most photographers will be honored that their work is an inspiration to other photographers. Shoot a variety of subjects. You might spend a week or more focusing on just taking macro shots How To Get Started With Macro Photography How To Get Started With Macro Photography Read More . When you go vacation, you might spend your evenings shooting night shots. On the weekends you might try taking nature photos. Develop a strategy for posting photos to Flickr. Search out software or plug-ins that can help you get your photos posted and tagged on Flickr as fast possible. With Apple”˜s latest iPhoto How to Edit Your Photos Easily With iPhoto [Mac] How to Edit Your Photos Easily With iPhoto [Mac] Read More , for example, you can import, process, and post your photos to your Flickr account without having to leave the program. 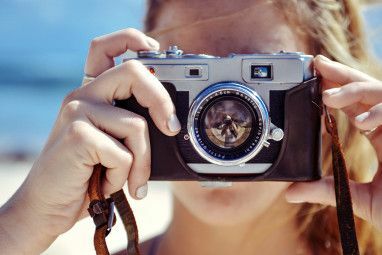 Use the project as a way to learn how to use your camera 10 Features You Should Know About Your Digicamera 10 Features You Should Know About Your Digicamera Read More and photo processing software. Give and receive feedback on your photos. Choose five or more Project 365 members to give praise and support to during the year. Likewise, you will receive encouragement and feedback as well. The web browser, Flock, is a great tool for following and keeping up with Flickr.com contacts. Try various photo techniques. In addition to learning how to better use your camera, this project is a great opportunity to learn various photo techniques, such as shooting from different angles, using various size lenses and aperture settings, and trying out various lighting techniques. Celebrate your achievement. When you complete your project, you might want to create book out of your photos. For inspiration, check out this Blurb published book by the 365 Community group. Completing a photo a day project is nearly a foolproof way to become a better photographer. There will be plenty of days when you will shoot and post crappy photos, but I guarantee you, you will shoot and make a few really awesome photos that you might never have made by not doing the project. Let us know if you plan on doing Project 365. If a photo per day is too time consuming for you, I will be posting a list of other Flickr.com photo projects you might want to try. Jesse, thanks for letting us know about this site. I wasn’t aware of it. I based this article on groups I participated in when I did the 365 project. Jesse, thanks for letting us know about this site. I wasnâ€™t aware of it. I based this article on groups I participated in when I did the 365 project. A huge community of 365er's, powered by a slim, quick and fun to use interface.